During the 1960s and 1970s city centre stores were expanded as Woolworth UK sought to establish itself as a full department store. To fill the huge new stores a much broader range of merchandise was needed, prompting a buying spree as Executives developed new categories to complement the everyday essentials. 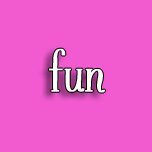 This page explores that product development. 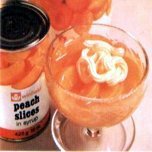 Throughout the 1970s the British Woolworth Board sought to diversify the brand and broaden its appeal. This required the Buyers to develop new ranges at a pace that had not been attempted since Summer 1909 as products were gathered for the very first store. The goal was to fill huge city centre shops, which they planned to operate as department stores. The challenge was to find products that shoppers wanted to buy and that would drive up profit margins sufficiently to pay the rents on the larger premises. 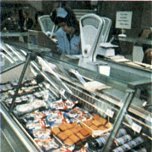 To achieve this a new superstores division was created, with responsibility for the largest stores, whether they were in-town Woolworth's or out-of-town Woolco's. 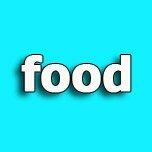 By broadening the range, it was hoped that winning categories would emerge in the superstores which could reinvigorate the 750 smaller High Street shops, which had seen little change since the 1950s. 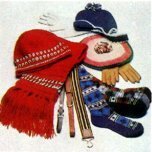 The first major area of range development was Fashion. 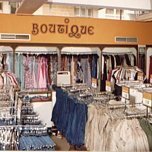 The chain aimed to build on its long-established range of underwear and socks by becoming a major outlet for budget clothing for all the family. The aim was to hire in external expertise to develop contemporary designs at jaw-drop prices that would help the firm to take market share from the established market leaders, Marks and Spencer, British Home Stores and Littlewoods. 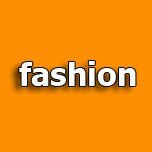 Fashions had the potential to offer much higher margins than confectionery, records or toys, particularly as Woolworth had more branches and, they believed, buying power than the three rivals together. 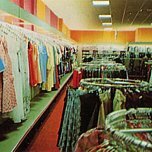 There were occasional hits within the range, but customers soon found that, while the garments often looked like the catwalk and rival store equivalents at a fraction of the price, they were often made from uncomfortable synthetic materials and without the garment technology or quality control of M&S. 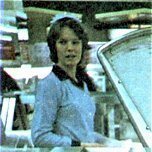 In 1977 a new 'customer panels' initiative established focus groups of regular shoppers and invited them to give feedback about the chain and its products. The guided conversations asked for input about the fashion range and soon revealed deepset concerns about the man-made materials used in the manufacture. Customers found the polyester and nylon garments uncomfortable and complained that they did not last well and were hard to wash. This prompted a major re-think. 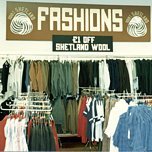 As a result the Buyers introduced more natural fibres, switching to woollen knitwear and cotton blouses, shirts, skirts and trousers. 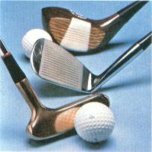 They also switched much of the production to the British and Irish factories of manufacturers with a proud tradition of product quality. Courtaulds, Mynards and Cooneen Textiles played a pivotal role in improving the sizing and finishing of the 1978 range. 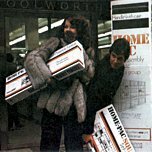 To mark the upgrade a major press advertising and PR campaign was launched with the slogan 'Oh Woolworth, how you've changed'. It fell on deaf ears. Customer panels later showed that an extended period of consistency would be required to win back shoppers who had been disappointed before. 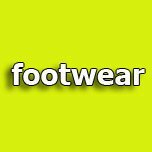 Woolworth enjoyed more success with a selection of footwear and sports shoes. 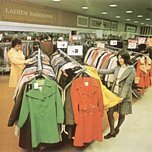 The Buyers were able to draw on the growing expertise of the American parent company, which had acquired a number of fashion chains during the 1960s and 1970s along with the Kinney Shoe Corporation. The British and American chains pooled resources to increase their buying power in the Far East and shared a number of lines on either side of the Atlantic. 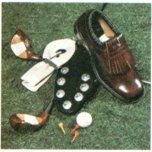 Customers remember that the golf shoes and trainers from the range were exceptional value for money and were very well made. Later the expertise that developed such lines in the USA helped the parent company to transform into the giant Footlocker company. Social changes in the Sixties and Seventies saw a shorter working week and rising disposable incomes. 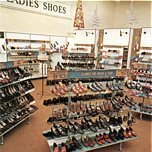 Woolworth responded with new ranges of leisure goods and by expanding the selections of radios, televisions and hi-fis, particularly in their larger stores. 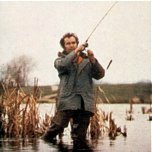 They enjoyed particular success with fishing and darts, where well-made, comprehensive ranges became good sellers and established the chain as the market leader. 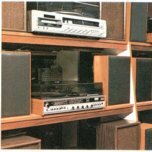 Audio and television proved more of a challenge, as the Buyers struggled to persuade the major brands to supply them. 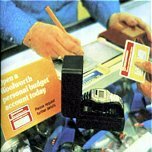 The makers feared that Woolworth would undercut the prices charged by their upmarket clients and that the chain's staff would be unable to provide the specialist advice and after-sales service which set the big names apart from the cheap brands. Success with many of the new ranges was dependent on Woolworth becoming a specialist. 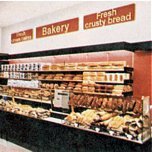 Delicatessen and fresh food required improved store discipline and staff training, while customers expected advice and guidance before purchasing high-priced items like colour television sets. Executives recognised the need but struggled to find the funds to deliver the necessary upgrade, meaning that the execution of the new displays and the quality of customer service was eratic between one store and another. The sales performance varied widely between stores, which made it hard to identify which of the new ranges had the greatest potential. Few of the new products ever appeared in the 750 smaller Woolworth stores in Market Towns and local High Streets, even though they featured heavily in the firm's advertising both in the press and on television. This led to some customer frustration, particularly when it seemed that their local staff did not know that the firm stocked some of the products and were unable to advise about where they could be found. 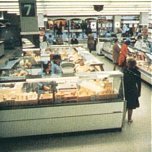 Just two of the ranges expanded during the Seventies went on to feature heavily across the store estate. 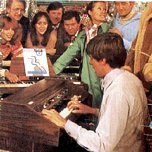 The selection of music and entertainment and toys and games, trebled in size during the decade, before trebling again in the Eighties.